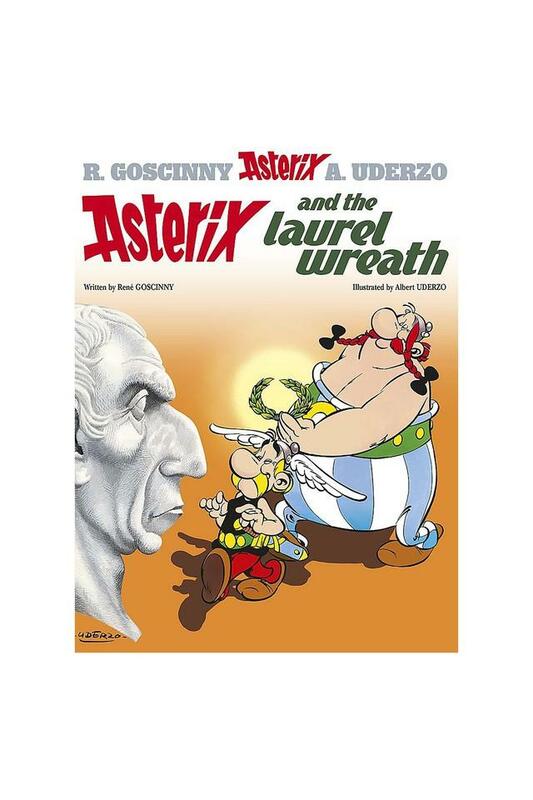 Asterix and the Laurel Wreath, is part of an internationally popular comic - script, by René Goscinny and Albert Uderzo. 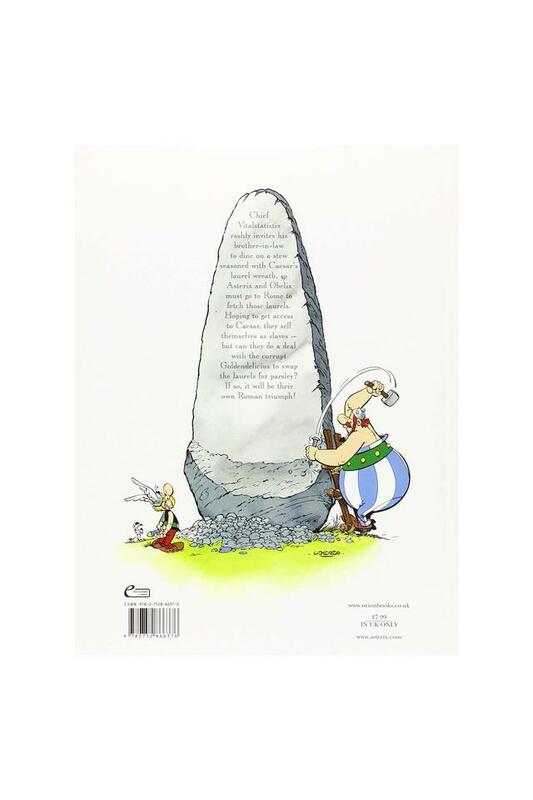 This book presents the adventures of Asterix and Obelix. This time, Asterix and his friend Obelix have been pushed into a quest to Rome by a drunk Chief Vitalstatistix and now they need go to Caesar's palace in Rome to get the laurel wreath for stew seasoning.The story starts with Asterix, Obelix and Chief Vitalstatistix, along with his wife Impedimenta. Vitalstatistix never liked Homeopathix, who has been showing off his wealth and richness, because this makes Vitalstatistix's wife to push him to earn good money as well. These four are enjoying dinner and drinks one night, when Chief Vitalstatistix drinks too much and boasts about obtaining something that even Homeopathix cannot buy with his money, Caesar's laurel wreath for a stew seasoning. This pushes Asterix and Obelix to go to Rome and find a way to obtain the laurel wreath. The duo has no other way to get close to Caesar but to become slaves and enter the palace.Asterix and Obelix's adventurous events spice up the whole story with unmatched humour. 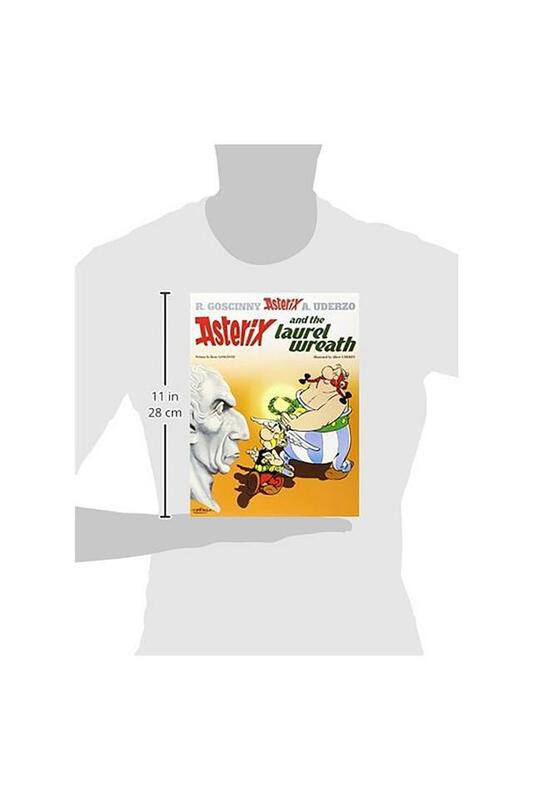 Asterix and the Laurel Wreath was published by Asterix in sn Export/Airport edition in 2007 and it is available in paperback.